This something that I often make for dinner but I haven’t had the chance to take nice photos. I happened to cook a little earlier today and there was still enough natural light for me to snap a few shots. 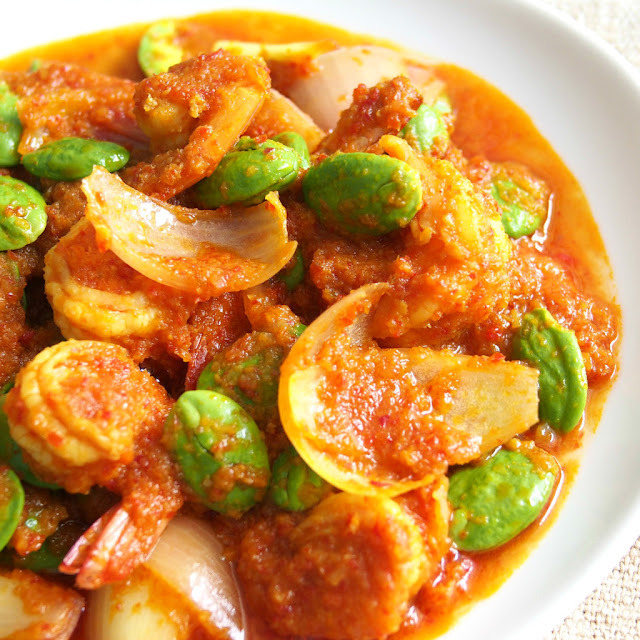 People from Penang can’t live without petai. I often have a craving. How about you? Heat oil in a large wok then fry blend herbs until fragrant and you can see the oil separate from the gravy. Add in lime juice and seasoning. Add in prawns and onion then water. Simmer to cook until gravy become thick. Put in petai at last and stir fry for less than minute. Dish out and serve hot with steamed rice.